A superior quality, ultra lightweight wood grain and general filler. It's ready mixed, quick drying and easy to sand. No catalyst required! 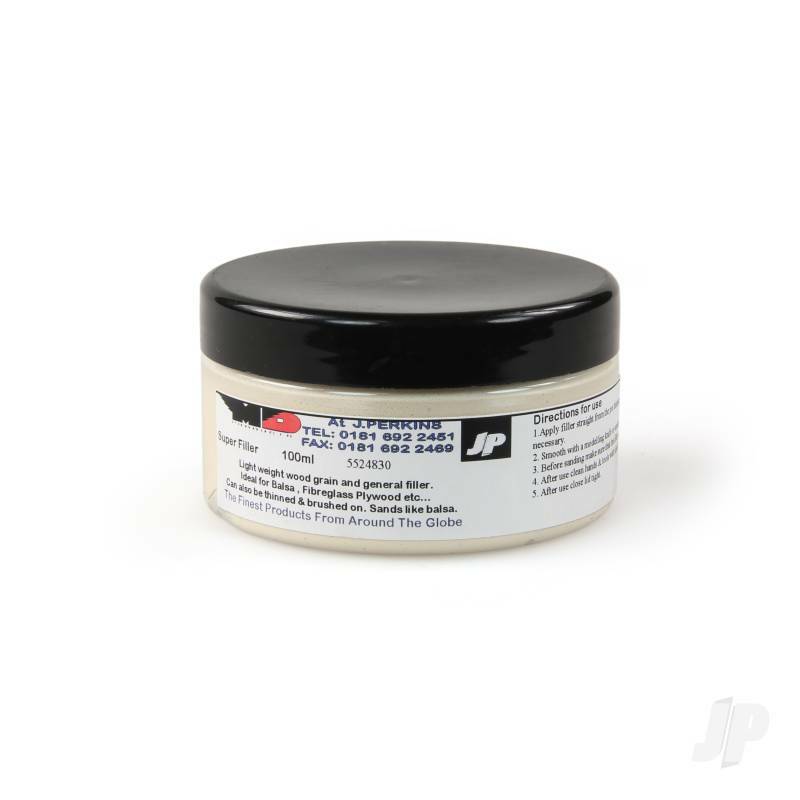 Super Filler's cream colour matches well to most aero modelling woods, but its colour can be easily altered using water-based dyes. It can be thinned with water and brushed on to fill wood grain.